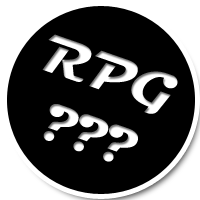 In the market for an RPG – where to start? Well the title says it all really… I’m looking to get myself a decent RPG for the PS3 (yes, PC gamers, they DO exist) and I’m not sure where to start – there seems to be so many to choose from! I’m leaning toward Oblivion or Skyrim at the moment – I love how deeply customisable everything appears to be (though this is just off of others reviews etc) and this is one aspect of RPG games that I love. But I’ve also heard good things about Demon Souls, Dark Souls, Dragon’s Dogma, Kingdoms of Amalur and a whole bunch of others. I’ve played the demo of Dragon’s Dogma, and have to say from what I could get out of it, it seemed like great fun. The thing that puts me off are those weird “Pawn” things that have no backstory but accompany you… they just seem a bit odd and I fear could disjoint the story somewhat? I also downloaded the demo of Kingdoms of Amalur, and while I did find it entertaining, it seemed a little “fairytale” like. Graphics were bright and colourful, and the main race that I seemed to encounter looked like cutesy garden gnomes… Now, I’m a big fan of the xbox Fable series, which was of a similar style, but that just had something else – the humour, the all-star cast and the fact that it’s made by the people that brought us the Black and White games just gives it that edge. I’ve played Fallout 3, but I’m in the mood for some old school middle-earth-like RPGing, rather than post-apocalyptic FPSRPG-ing. And besides, I had sort of liked Fallout 3, wasn’t in love with it, but was trying to play through as a good guy, accidently misinterpreted an objective, shot a civilian and then was outcast – my game’s save was overwritten and a good deal of hours gameplay (in my eyes) was wasted. Oh I’ve also completed Mass Effect 1 on the xbox, but not sure I’m all that into it. It’s pretty much Star Wars but without lightsabers… so what’s the point? Will Oblivion/Skyrim meet these criteria? Are there any others to consider? HEEEEELP! If anyone out there in the inter-world is reading this, please post your comments below and help me figure out what to go for!